This 30 min dynamic and energising workout is designed to condition your core and correct your posture. You will be challenged with short bursts of intensity and recovery, and leave feeling stronger and taller. Combining Pilates principles and ballet techniques, this 45 minute low-impact workout targets major muscle groups to elongate, strengthen and tone your muscles, resulting in a sculpted physique and improved posture. No dance background needed. The Yoga, Thai Chi, and Pilates workout that build flexibility and strength leaving you feeling centred and calm. 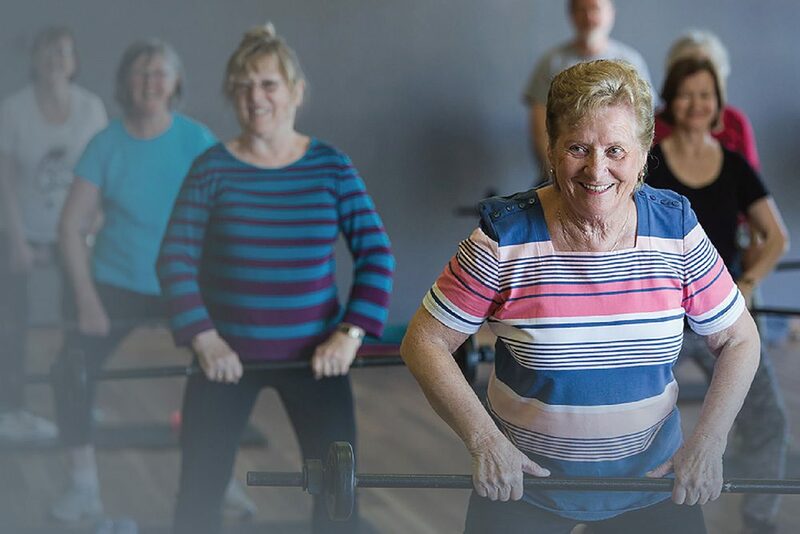 Living Longer Living Stronger is a progressive strength (or resistance) training program for older people. it is designed to increase strength, balance, flexibility & coordination. helping you to improve your confidence and reduce the risk of falls. A 30 or 45 minute workout designed to target more than just your abs. This session utilises muscles from the back, glutes, abs and obliques to improve core strength, definition and posture. 45 minute format includes a 15 minute stretch component to release fascia. 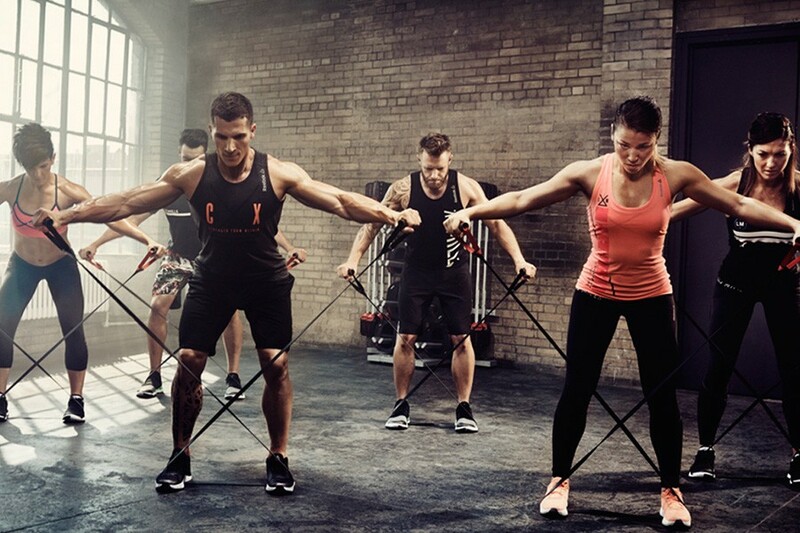 CXWORX provides the vital ingredient for a stronger body while chiselling your waist line. A stronger core makes you better at all things you do–it’s the glue that holds everything together. 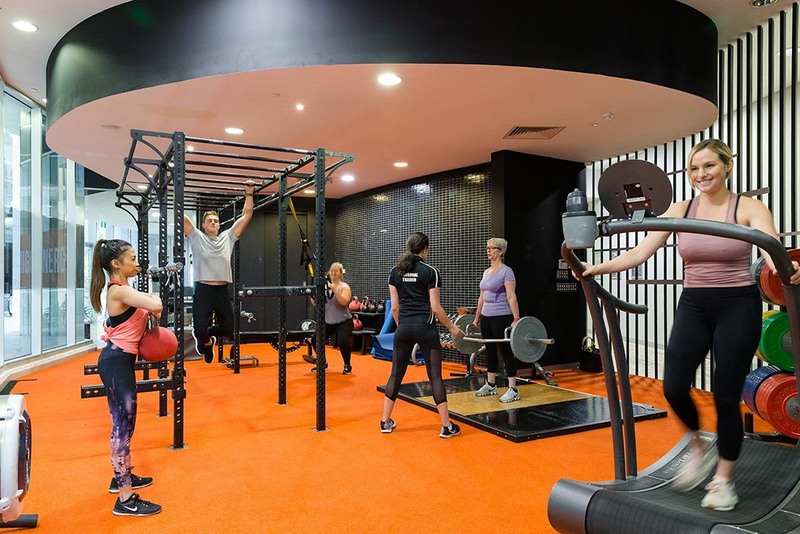 All moves in CXWORX have options, so it’s challenging but achievable for your own level of fitness. This body awareness program is fantastic for any one with lower back problems, mobility and flexibility concerns. The focus is to re-educate ones nervous system through pattern integration. If you want the optimal mix of strength, cardio and core training this is it. 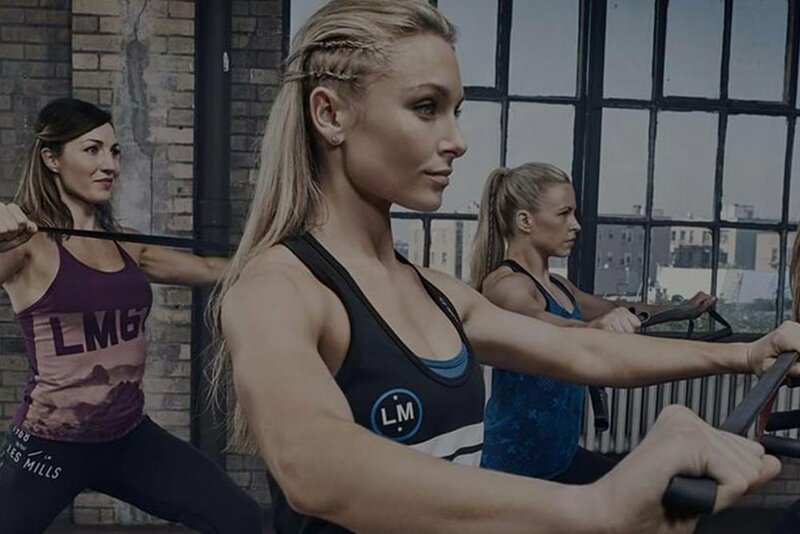 Step into a LES MILLS TONE class and you’ll tick off a complete workout. The mix of functional training and tubing exercises will help you burn calories and take your fitness to the next level. Also a great foundational class, LES MILLS TONE has a wide variety of options accommodating all fitness levels. Develop the ‘Pilates Body’ long, lean, and strong with a hidden strength under a healthy muscle tone. Through the prescribed exercise routines on the mat we will re-train the body to work efficiently with minimal effort and no tension. Learn effective breathing techniques in 30 minutes that will leave you both feeling centered and balanced. Enjoy taking the time out to unwind from your busy week to reset both mind and body. Powercore will challenge and develop your core in ways you never thought possible. Integrating functional full body movement patterns in a circuit environment, this will take your core to a whole new level. Utilising Kettlebells, TRX, powerbands, aqua bags amongst others, Powercore will engage those abs and improve your posture! 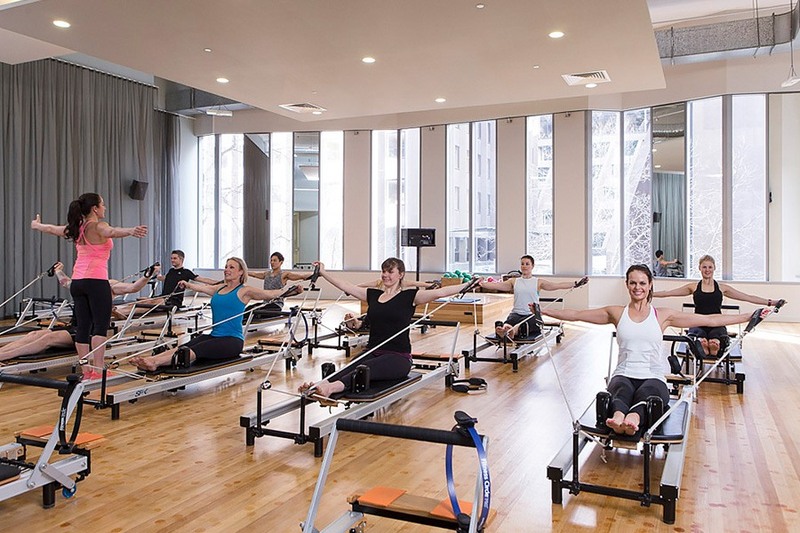 In this 45 or 60 minute class you will learn the fundamental exercises and the principles of the Pilates method. The exercises will be broken down as they are taught; ensuring you learn proper technique and the slightly smooth pace will give you confidence to execute the movements safely. This type of class is suitable for people new to Pilates and also to those with experience but are looking to brush up on their technique. 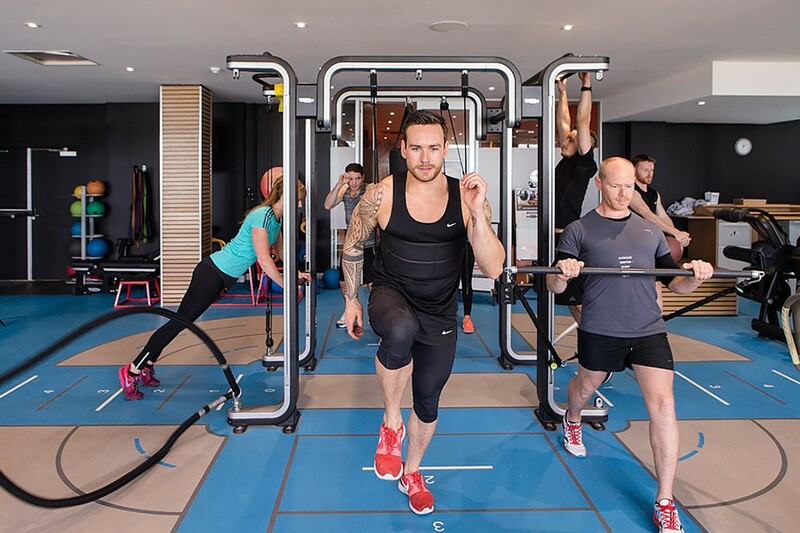 If you are experienced at the intermediate level and are now looking for more of a challenge, the 60 minute, advanced classes are designed to deliver a higher level of intensity, at a faster pace. Tai chi is meditation in motion. The movements are slow, gentle, soft, flowing and creates a beautiful energy. It helps to tone your body and lengthen the muscles without adding tension. With regular practice bones become thicker, stronger and heavier. Tissues become soft, supple and loose. Blood flows through the major organs more regularly. 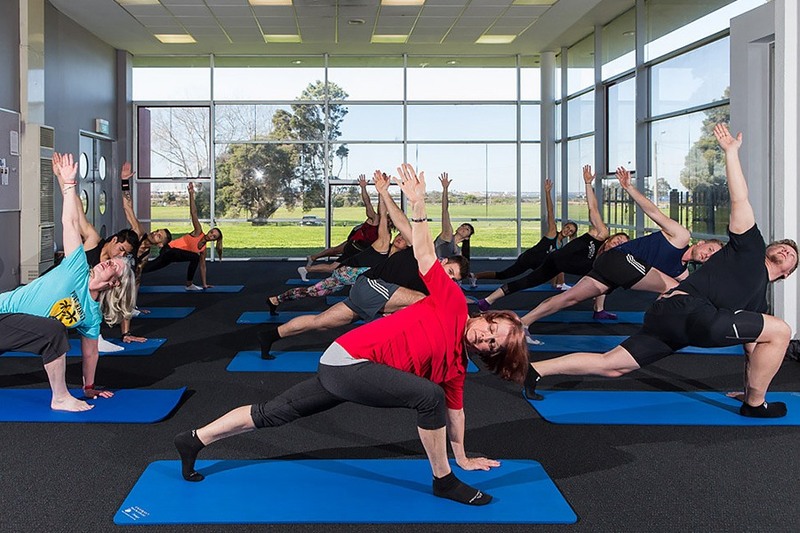 A class you will feel rejuvenated and energised. Rev up your metabolism, torch fat and take your fitness to the next level with this total body station-based workout using metabolic conditioning. This workout is designed using principles of metabolic conditioning: using major muscle groups, set time period of effort and rest, keeping the heart rate up and using peripheral heart rate action to maintain intensity but changing working muscle groups using weights and bodyweight exercises to keep heart rate high and constantly switching up the exercise to keep the body guessing. "Developed by the US Navy Seals, TRX Suspension training is here. 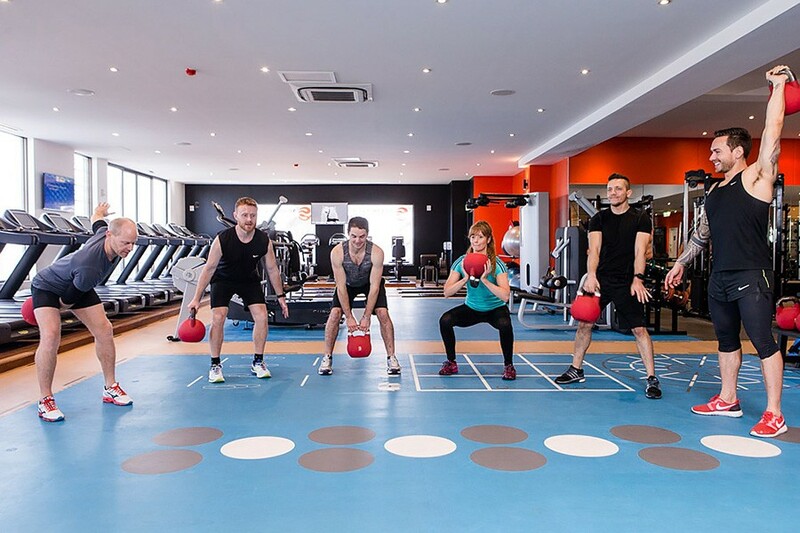 A 30 minute strengthening session uses your own body weight to achieve; muscle tone, improved core strength and increased muscle definition in this quick session. TRX 30 incorporates strength training for entire upper body, lower body and core. The class is strongly advisable for both men and women with at least a medium level of fitness." This class will challenge and change you by focusing on full body strength and endurance, in a circuit environment. This class requires total body integrated strength, mobility, skill and due to the ballistic nature of some of the movements– will leave you gasping for air. This type of yoga is challenging, quick-paced, and just the thing to open your tight hamstrings, hips, and shoulders. It involves a set sequence of poses that members follows in the exact same order every time. 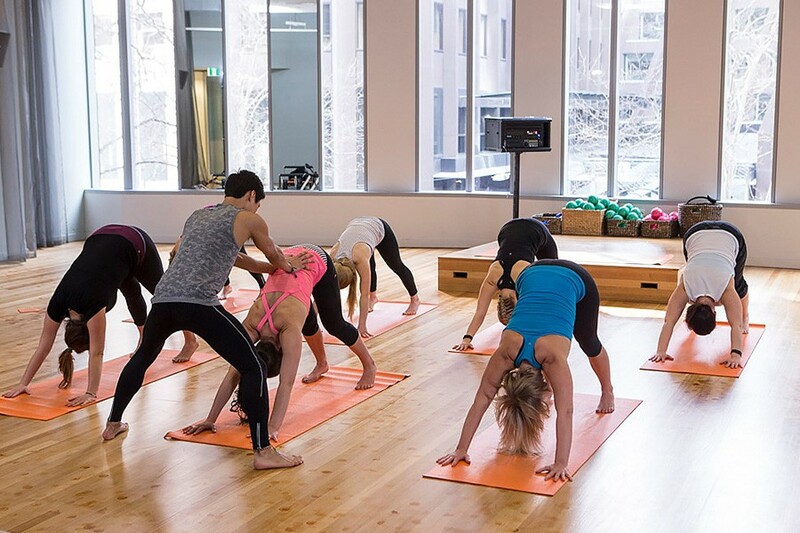 Dynamic yoga flow incorporates a musical soundtrack into the class experience, this dynamic Vinyasa-style class synchronises movement and breath in a continuous flow of poses. A challenging way to improve your yoga practice helping to achieve balance and strength. 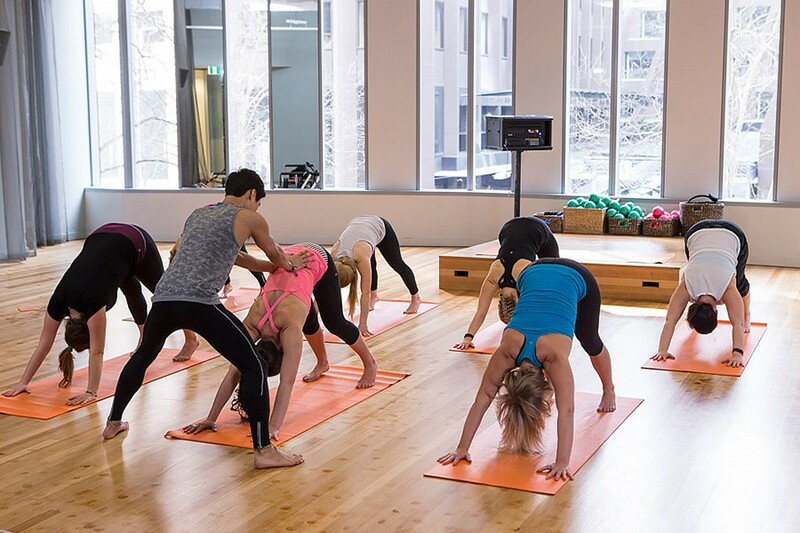 This dynamic Vinyasa-style class synchronises movement and breath in a continuous flow of poses. A challenging way to improve your yoga practice helping to achieve balance and strength. This is a gentler type of yoga. 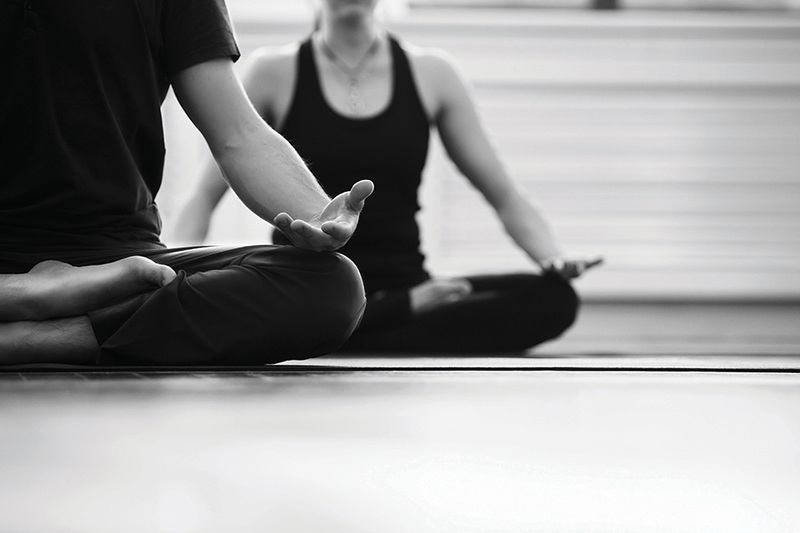 With more focus on meditation, breathing and holding the poses for longer periods of time. A great introduction to yoga. "A dynamic open class that links breath with postures and movement such as balancing, inversions, backbends and a floor series. This class increases strength, flexibility and focus whilst clearing the body of toxins, leaving you feeling calm and centred." Suitable for all levels, this is a gentle, slow-paced type of practice where postures are generally held for longer yet maintaining continuous flow of poses with slower transitions. Vinyasa is an open class that links breath with postures and movement such as balancing, inversions, backbends and a floor series. This increases strength, flexibility, and focus while clearing the body of toxins, leaving you feeling calm and centred. A dynamic open class that links breath with postures and movement such as balancing, inversions, backbends and a floor series. The class is practised in a 36 degrees celsius room. This class increases strength, flexibility and focus whilst clearing the body of toxins, leaving you feeling calm and centred. Many of our styles of yoga are offered in a heated setting (temperatures ranging from 25-38 degrees). If you have a medical condition, please consult with your health professional. 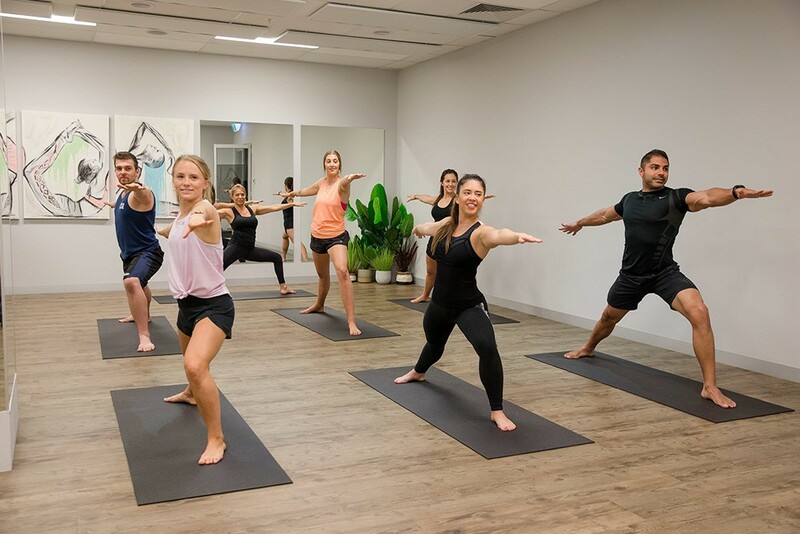 Strength Yoga is an all levels class that uses poses to help you build strength and muscle tone using just your own body weight. This class allows you to hold poses for a longer period of time to help build your strength and stamina. You will feel the results from this class after just one session. The essence of Yin Yoga is to surrender, bringing balance to your practice and your life. A strong focus on using the breath and grounding postures to lengthen fascia tissues surrounding the hips, spine, chest, and shoulders. It reenergises and calms your nervous system. The perfect way to release the tension and stress from the day. © Copyright. All Rights Reserved. South Pacific Health Clubs.